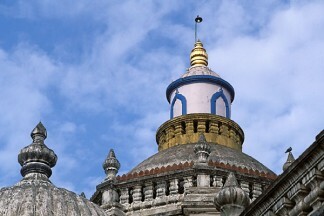 Visit our specialty themed tours for more exciting ideas on exploring India. Twenty-two states with different dialects, foods and dress make India a treat for the eyes and a feast for the senses. Colorful and vibrant, India is a five thousand year old culture which takes great pride in its mystical mountains, healing spices and many spiritual festivals. Take a trip down the Ganges River, visit the movie settings in Rajasthan for the Best Exotic Marigold Hotel, trek the Northern Himalayas through the Valley of Flowers, disvover Kipling’s India in the Kanha National Parkand Tagore’s India in Eastern Bengal and north of Calcutta. Stay at an ayurvedic spa on the Arabian Sea or pilgrimage in Bodhgaya or Rishikesh. Whether you visit cities or rural villages, discover Hindu temples, Buddhist monasteries, Jain complexes or mosques and forts, India is a place you will hold dearly in your heart for eternity.